Minimum 50 photos will be delivered in high resolution digital files. The shoot will take place at my home studio in Toronto’s mid-town. 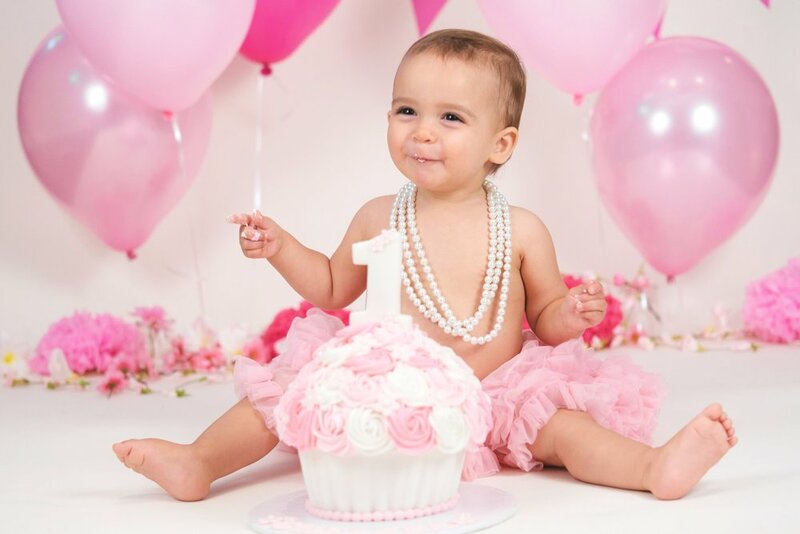 A cake smash is usually celebrated when your child turns one. I love cake smashes because we get to create a fun experience that we know will live on forever. Is there a colour, theme, toy, animal or character that your child loves? Together we can decide on the perfect theme for the photoshoot. Make sure you include room in your budget for a professional cake, which will make the experience truly incredible to look back on. On the day of the photoshoot we will take photos of you and your young one, additionally you can add up to three family members into the experience for no additional cost. After we take some beautiful family portraits, we will get everything ready for the messy bit. Make sure the cake is at room temperature and I will make sure there are ample baby wipes and towels nearby. The entire experience will take place at my home studio in midtown Toronto.